Soy sauce powder, wheat seedling powder, maltodextrin, flour, spices, ginger powder, curry powder, VC powder, etc. The proportion of light metal powder can be used, such as zinc oxide, magnetic materials, calcium oxide, etc. 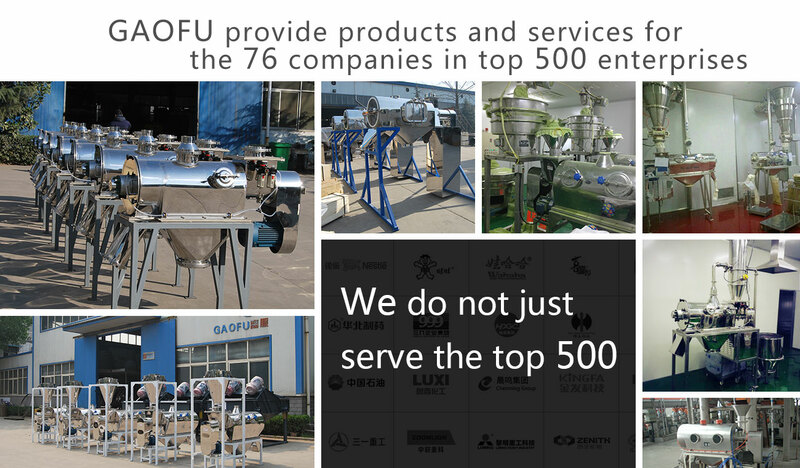 The quality is the first factor that affects the mesh life, but for centrifugal sifter, the equipment structure, the concentricity of the equipment and the processing technology of the screen cage directly affect the mesh life. The key components of the equipment need to go through multiple precision machining processes, one is to extend the life of the mesh, the second is to improve output. Centrifugal sieve design principles, more suitable for screening of ultra-light, multi-fiber material. Centrifugal sieve clean conveniently, suitable for many varieties of small batch screening, to avoid cross-contamination caused by mixing Centrifugal sieve can withstand the pressure of 0.1MPA, suitable for flour etc, positive pressure system, the screening output is large . The mesh of the machine is cylindrical and is placed in the machine body. 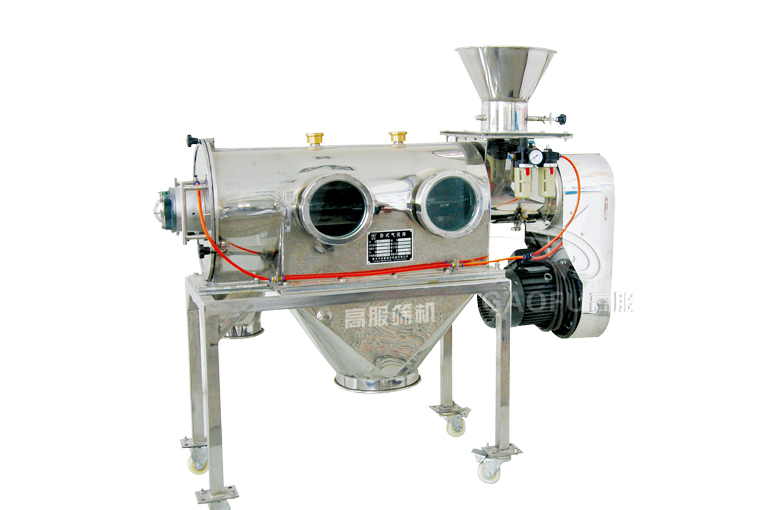 After the material is mixed with the air flow through the screw conveying system, and atomized into the screen cylinder. Through the wheel blades in the screen cylinder, the material is subjected to centrifugal force and cyclone propulsion force simultaneously, so that the material is sprayed over the mesh, the material smaller than the mesh hole is discharged from the fine material outlet, and the material bigger than the mesh hole is discharged along the tube wall discharged from the coarse material outlet to achieve the purpose of efficient screening.